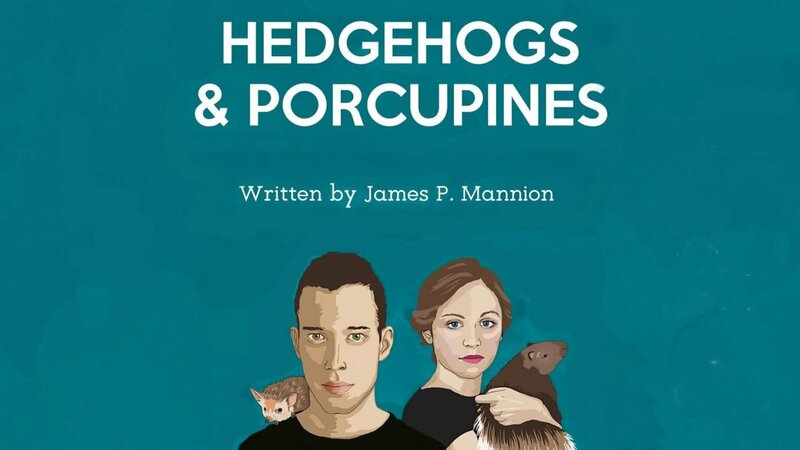 After a successful work in progress performance at The Stockwell Playhouse One Act Festival, Hedgehogs & Porcupines, written by James P Mannion, comes to The Old Red Lion for a limited run, presented by Blueleaf Theatre in association with Marzipan Productions. Hedgehog and Porcupine have been together for longer than they can remember. Well, longer than Porcupine can remember. Hedgehog knows exactly how long it’s been. For five years they’ve been stabbing each other repeatedly with their sharp quills, but despite this agony, the ‘warmth’ their relationship provides means neither has managed to break free. That is, until a manic twenty-four-hour cycle of argument and recriminations forces both to ask themselves the ultimate question: is this really worth it? Drawing from Schopenhauer’s famous paradox, the Porcupine (or Hedgehog) Dilemma, Hedgehogs & Porcupines examines the fine line between intimacy and irritation, pleasure and pain, love and hate. After Blueleaf Theatre’s debut show That Moment received critical acclaim and multiple five star reviews at the Edinburgh Fringe Festival, Artistic Director Marcus Marsh returns to direct James P Mannion’s funny, yet delicate script. Starring as the characters Hedgehog and Porcupine will be Rebecca Bailey (No Finer Life UK Tour) and David Shields (Bad Education Movie, The Crown). Hedgehogs & Porcupines is at The Old Red Lion Theatre 1st – 6th October 2018.